Nice that you visit our site. Please indicate here which cookies we may place. The necessary cookies do not collect personal data. The other cookies help us to improve the site and your visitor experience. They also help us to inform you about our products. Are you going for an optimally working website including all the benefits? Then tick all the boxes! 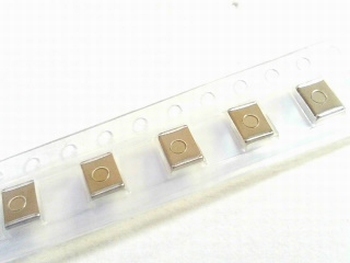 1000 x MLCC - SMD/SMT multilayer ceramic capacitors VJ1812Y474KXAAT Vitramon type 1812 - 470nF (0,47uF) 50volts X7R 10%. Price is for one complete reel of SMD capacitors. Super offer!. A reel of these capacitors is normally priced around € 320. Electronic components and parts for your electronic adventures!